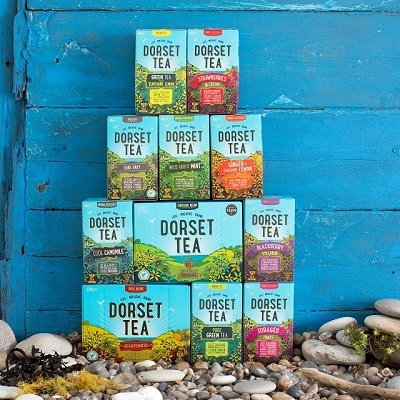 Tea lovers in Scandinavia will soon be brewing cups of Dorset-made tea as Keith Spicer looks to expand into the region. The company has seen its export sales soar over the last three years after entering 20 new international markets, including Malaysia, the Czech Republic, Chile, Spain, Japan and the United Arab Emirates. Last year, trade advisers from the Department for International Trade (DIT) supported Keith Spicer through its Overseas Market Identification Service to identify and secure a distribution and export deal in Sweden. The business is now looking to further expand export operations by taking its tea brands, including Dorset Tea and Tea India, to the Nordic market after spotting a strong demand for all types of high-quality teas and infusions. The Wimborne tea manufacturer is working with international trade advisers based in the South West and on the ground in Scandinavia to secure further opportunities in Norway and Denmark, as well as in Finland. They have also joined the Great British Food Programme to utilise Meet the Buyer events and showcase their products on the online directory. This support comes as part of the Food is GREAT campaign, an ambitious programme run by the Department for Environment, Food and Rural Affairs (Defra) and DIT to showcase the UK’s food and drink abroad and encourage more businesses to consider exporting. In 2017, South West food and drink exports totalled £810 million, an increase of 8% on 2016. “We’ve been selling tea in the UK since 1934, but have only recently started to capitalise on the growing demand for British food and drink overseas. If we can be successful through exporting, others can too. “Although selling our tea internationally has been hugely rewarding for the company, it’s certainly not been without its challenges. We’re constantly working to strengthen our foothold in what is a very competitive market, and a key part of this is being able to develop a network of contacts wherever we go. DIT has been invaluable in advising us on who to speak to in new countries, and in helping us secure all-important meetings with buyers and distributors. “Keith Spicer is a great example of a local business that has found huge success in overseas markets. “Exporting has helped the company become more profitable and resilient, and the team has been quick to take advantage of the wealth of support available for businesses looking to start, or grow, their overseas trade.